Cultured marble restoration with Benaz. 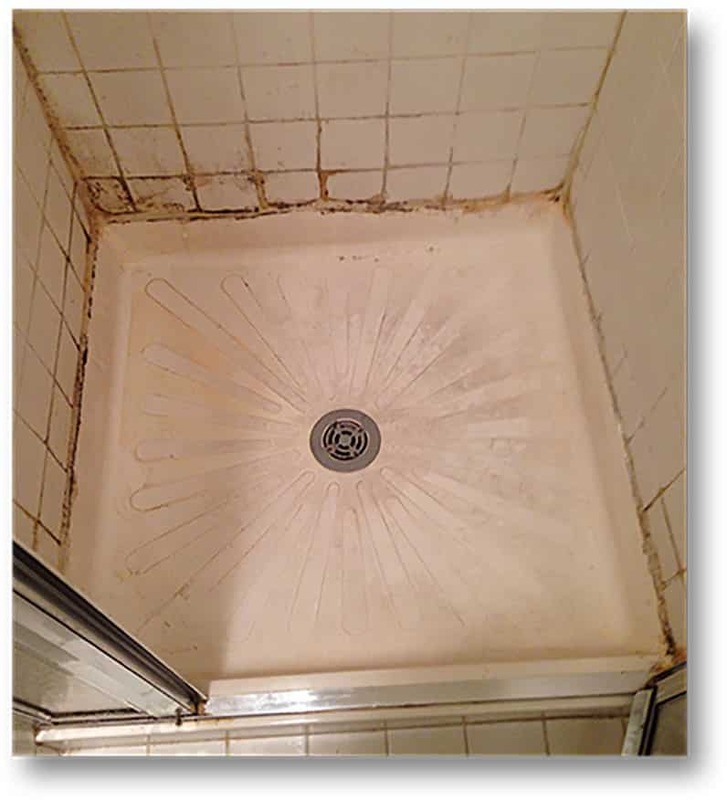 Notice stained and heavy soap scum build-up over the shower basin. Our artists can restore your basin to the next level. Unlike others, we do not use epoxy or enamel finish on basin tops as they peel off in no time. We use Benaz to remove water dots, bar soap and etching. Incredible cleanliness. With unbelievable freshness. What is the difference between plastic and cultured marble? Cultured marble is built from a resin and looks similar to marble. It has thicker appearance as compared to plastic basins. 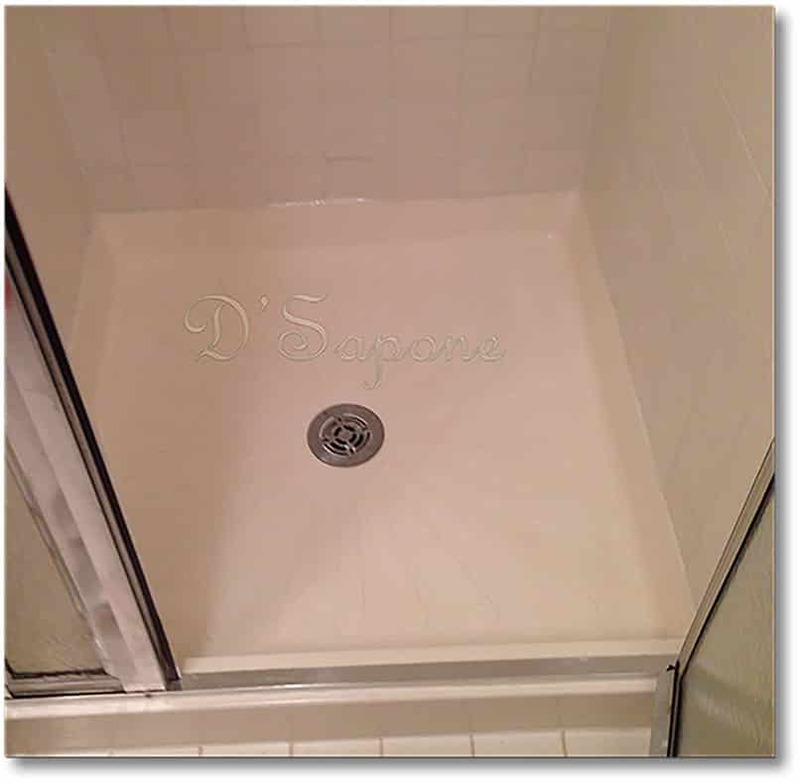 Cultured marble is most commonly installed on shower walls and floor. 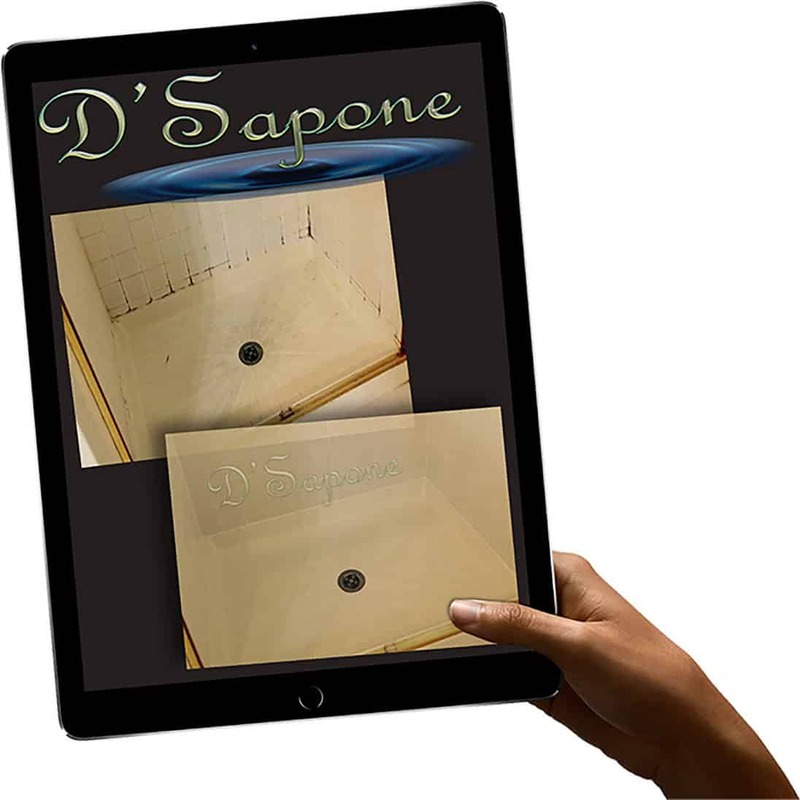 D'Sapone® does not paint cultured marble, why? Spraying paint on a surface is not our style. We use Celine, a clear topical sealer that soaks into the cultured marble to prevent the growth of molds. Does D'Sapone® remove all the stains? Yes. We remove all the stains in most cases. It will not peel, once we leave. Do you use sealer for the cultured marble after restoring it? Yes. We seal the cultured marble with our oil based penetrating sealer, which fills the pores and stop future staining. How will we maintain our surface after you leave? A contractor restored my cultured marble and since then it is peeling, why? We would suggest you to post reviews for others. No need to be fooled by contractors providing this service. There is not any process for this issue, so the entire pan has to be stripped. We have been in tile and grout restoration business for more than 7 years. 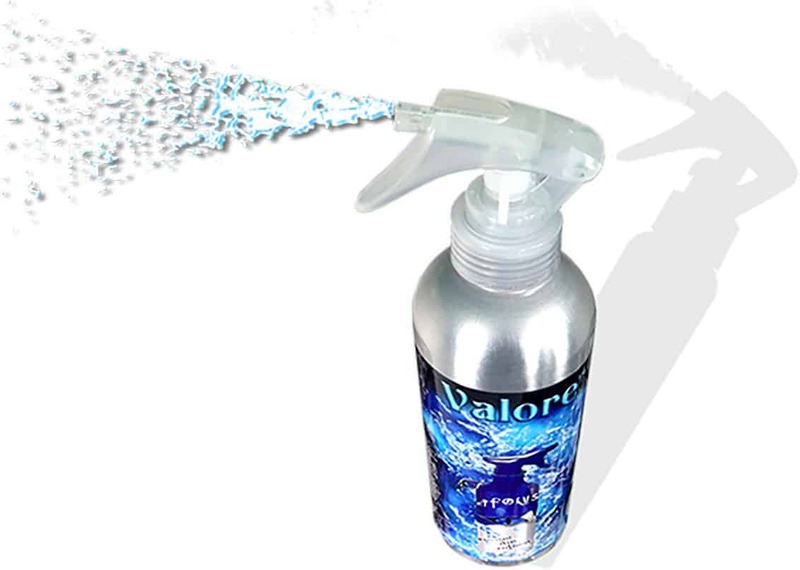 We only use high quality cleaners and sealers from pFOkUS®.